The foundation of a great smile is a commitment to general dental care. We encourage visits every six months to keep your teeth and gums clean and healthy and help prevent later problems by letting us spot them early. We can address your unique concerns and develop a relationship that ensures continuity of care. An important reason to visit the dentist is to have your teeth cleaned by a hygienist. Plaque and tartar build up on teeth over time. Plaque is soft and sticky, but regular brushing can generally remove the majority of it. However, unremoved plaque hardens into tartar, which is beyond the scope of a typical toothbrush and floss. Tartar accumulates beneath the gumline as well as on the tooth structure. If plaque isn’t removed, you risk more serious problems with teeth and gums in the future. Recent research shows a strong link between untreated gum disease and other serious issues such as heart disease, stroke, and diabetes. Having a regular teeth cleaning is one of the best things you can do for your health. Is it possible to visit the dentist without feeling the drill or the pinch of that dreaded needle? One spectacular advance in recent dentistry is called air abrasion. Unlike a traditional drill, this device aims a stream of tiny particles and air at the area of decay and gently mists it away! Many patients need little or no anesthesia. The sound and vibrations of the drill are gone – and so is most of the pain! 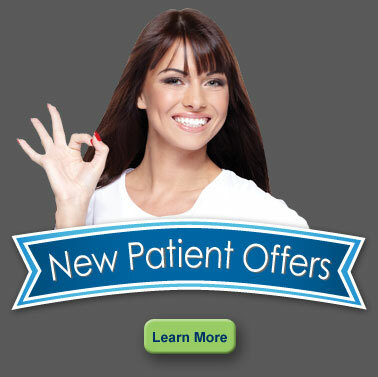 Patients love that for many procedures, it’s good-bye needles, good-bye drill! 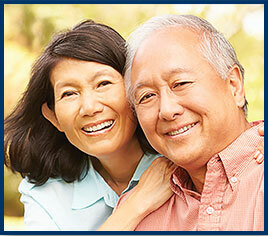 With a breakthrough in design and fit, we can provide beautiful natural-looking, slip-proof dentures! This technique shapes the denture plate to fit so well so you no longer need to worry about the foods you eat or that your dentures might shift or slip. If you wear dentures, be sure to ask us about this. It will make your life much easier. For patients who endure migraine and tension headaches, we are excited to offer a drug-free alternative for relief. The FDA-approved NTI device is an oral appliance that relaxes the scalp muscles to prevent most headaches. 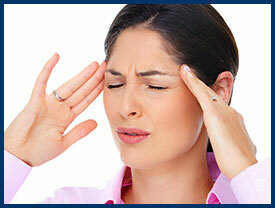 Eight-two percent of patients in clinical studies had a 77% reduction of migraines. It is a painless, affordable, preventive solution that allows you to feel happy and healthy again. If it’s time for your next cleaning, or if you’d like to discuss any of your dental concerns or needs, call us now at (510) 530-7000.